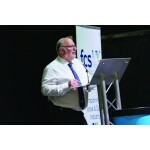 Panorama Antennas’ technical sales and support manager John Thomson recently spoke at the FCS Comms Installer event The Heart of England Congerence Centre, discussing best practice for vehicle installations in the context of an update to FCS1362 – the UK industry code of practice for the installation of radio frequency equipment in road vehicles. The talk had a focus on additional content covering technologies such as MiMo and 4G (with applications such as the new Emergency Services Network) and safety guidelines for working with high-voltage electric and hybrid vehicles. Featuring in the June edition of Land Mobile magazine, John’s presentation at Comms Installer also touched on other areas of the revised FCS1362 guideline such as the use of appropriate cabling and the optimal isolation of multiple roof mounted antennas. FCS1362 has been revised for the first time in two-and-a-half years to reflect the changing landscape of communications equipment finding its way into land based vehicles. With the ESN on the horizon, upwards of 45,000 vehicles will need to be fitted with new equipment, and the quality of these installations will ultimately dictate the performance and longevity of the hardware. 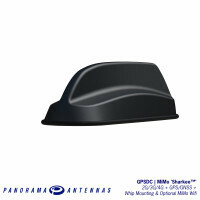 Participation and engagement with the FCS and their codes of practice is just one way that Panorama Antennas looks to develop products that perform dependably when mounted on a vehicle. With this expertise, Panorama’s products can provide added value to an install by integrating well designed, high quality components that will maintain performance for the service life of the vehicle. 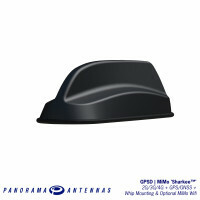 This product philosophy can be found in Panorama’s vehicle mounted multi-function antennas such as the upcoming GPSD that can integrate 4G/3G/2G LTE, MiMo WiFi/WiMAX, GPS and a VHF/UHF whip into a single shark fin style unit requiring only one hole for installation. 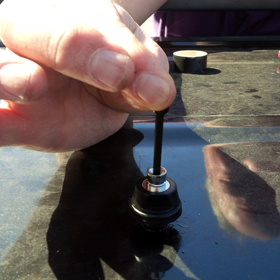 This minimises the visual impact on the vehicle, avoids complex planning to install several antennas adequately spaced across a roof, reduces installation time and cost and improves the residual value of a vehicle. 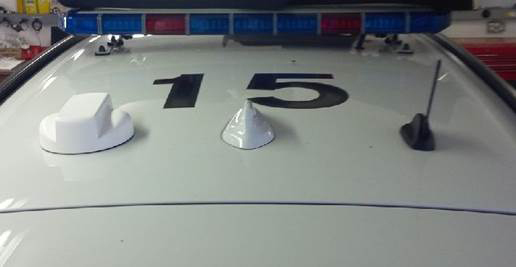 The GPSD can offer a full antenna solution for ESN connected vehicles as well as a VHF/UHF whip, so it is ideally suited for dual mode operation during the transition period that will occur between the old and new emergency communications systems. By allowing the retention of a TETRA system for ‘dual mode’ operation, the GPSD combines the two technologies (and potentially up to 6 separate antennas) into one housing. This will be crucial for the initial stages of the rollout, as there could be an overlap between different forces and regions at different times: “The reality is that certainly for the first half of the transition, we’re going to be in a situation where we have dual-mode working, so we’re going to be adding another type of radio device to the vehicle” said Thomson. The importance of the work by organisations such as the FCS Installers Group is central to Panorama’s products, as an incorrectly installed antenna will seriously impair the performance of a wireless device. By upholding applicable standards and codes of practice, Panorama and the FCS can continue to ensure that end users of vehicle mounted communications equipment can get the most from their installs.